Located at 1649 W Division St. this Wicker Park gem allows you to enjoy a drink at the bar and then walk out with a case of beer when you leave. It was first established in the 1920’s and is one of the few Chicago bars left known as a “slashie.” This means that the bar has a duel liquor license which allows them to be both a bar and a liquor store. 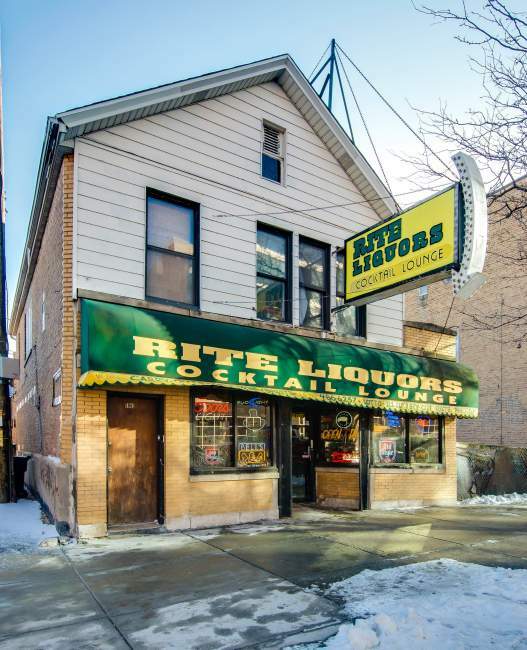 Rite Liquors’ dual license will be included with the sale of the building to allow the notorious slashie bar to continue on.